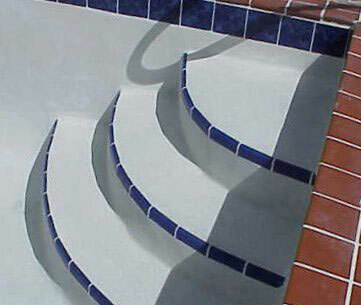 Step tiles run along the lip of your pool steps, swim-out and/or spa. 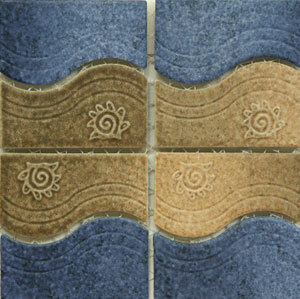 These tiles mainly serve a safety purpose: to provide a visual boundary for steps leading in and out of the water. 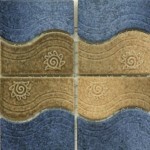 The most common step tile size is 2″ x 6″ bullnose. 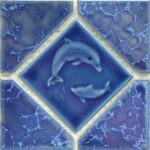 Cantilever tiles, when present, will always be the top row(s) of tile along your pool’s perimeter, above the waterline. 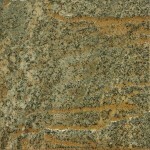 The most popular sizes for this tile are 2″ x 4″, 2″ x 6″, and 4″ x 4″ with a flush edge or a bullnose edge. Waterline tiles are almost always 6″x6.” Generally, a pool is designed so that the water level is about halfway up the waterline tile with the bottom half hidden beneath the surface. The waterline tile is the only tile in the pool that is typically decorative but it has functional purposes. 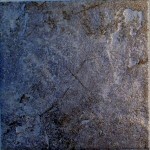 It serves as the scum line for your pool so that it is easy to clean. 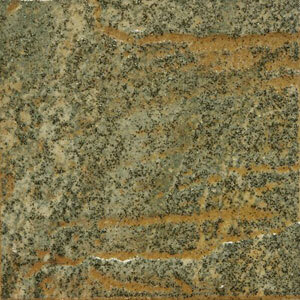 It is also a break point for the surface material since the surface material is meant to be underwater. 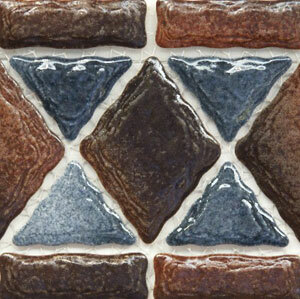 Many of the waterline tiles today have a wide range of shade variation inherent in the tiles.